Our 2004 Honda Jazz had a CD stuck inside. 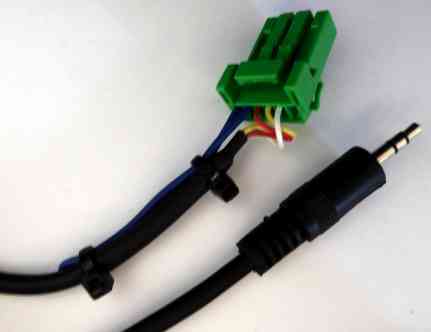 When I looked for a replacement radio with an auxiliary socket I discovered that it was possible to fit an auxiliary lead, available via eBay. Removal of the radio wasn't easy but I found a guide on YouTube. Removing the two (very tight) 8mm hex-head screws was really difficult, requiring me almost to stand on my head to see what I was doing. 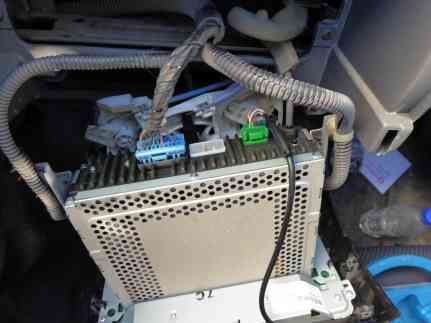 Once the two screws were out, I had to pry the radio console out by using a flat-blade screwdriver and working up from the lower right corner to the upper left (Left Hand Drive car) while pulling towards me and slightly down. 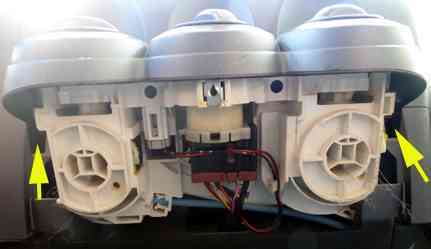 The whole console then lifts out, complete with radio and heater controls, allowing the auxiliary lead (green plug) to be inserted in the spare socket. I drilled a hole for the lead, which had to be large enough to allow the 3mm miniature jack plug to pass through.